Hi all. 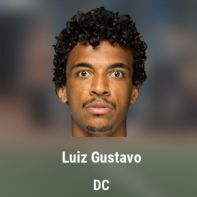 I am new to Football Manager mobile 2019 and i would like to get some help before I start a new career. I want to first apologies if some of the questions im asking has already been answered, i have use the search function but didn’t find what I was looking for. To make it easier for everyone i will put my questions under its own heading. First of all i will be only managing Arsenal but i want the game to be as realistic as possible with max players available so which nations and leagues should i load? The question here is regarding about the strategy in buying players to either boost the squad or replace aging players, for example if i have a player which is 30, 31 or 32, should i buy a player which is U21? Or buy another senior player? And if i have a player which is 25, for example, but he is not quite world class but i want to keep him, do i buy another player of the same age or buy someone who is older? Players who has 1 year left on their contract, when is it best to renew? Before new season starts? Before Jan? 1 month before contract expires? A few days before contract expires? If a player is 30, 31, 32, when should i renew their contract to get them to agree to the lowest wage possible? Do i offer higher wage and low signing fee or lower wage with high signing on fee for players? I read that the star ability of players, whether he’s good or bad is in their current team. What do i look for in the scout report to know if a players is gonna be world class in my team? I hope it’s not too much questions. I just want to have a perfect first experience without having to start over again. Jovic and Arp are both very good. Are they good enough to hit the ground running in the PL from season 1? I find the best thing you can do it to load up a career and just experiment. Don’t worry too much about trying to win things or find that winning tactic. Just spend a season getting to grips with the game. It will give you so much knowledge and insight that you will be better prepared when you are ready to start a career. Having said that, I wouldn’t want you to think I was being unhelpful so here’s my take on your questions. If I’m playing the English league then I like to also load Spain, Italy and Germany as this means you have the top four leagues in Europe and therefore the best pool of talent to play with. However, there are some really interesting leagues to play and a good example is the MLS. I think a mixture of senior and youth is good. One of the most fun things about FMM is finding wonderkids and developing your young talent into world class players. But the game does take into account experience and maturity so you wouldn’t want to neglect those older players too. I wouldn’t get fixated on age though. As long as the player has the attributes you need then don’t worry too much about their age. Players start to deteriorate from around 33 onwards (earlier if they don't play as many games). The attributes of a young player develop faster the more you play them in the team. I would renew a contract anytime from 7-12 months before it expires. If a contract falls into the final six months, there is a risk you could lose the player on a free transfer. Wages and the signing on fee is going to be dictated by the player. Just look at your finances to understand what your wage budget will be and keep that in mind when negotiating a new contract. The only advice I think is useful here is that if a player wants a wage that you cannot, or do not want to give then increasing the signing on fee might tempt them to sign a contract for less money then what they were asking for. Similarly, if a player wants a really high signing on fee but you can’t afford this, offering higher wages might persuade them to accept a smaller signing on fee. I wouldn’t worry too much about the star ratings. They're useful in that they act as a guide when comparing the player to players in your squad and they can be useful when trying to predict what the player’s potential ability will be. But star ratings should only be trusted if your scouts are of a high enough standard i.e. Silver or Gold Natural. Star ratings are also based on the player's form which means they can go up and down depending on how well they are playing. Anyway I tend to concentrate more on the attributes. Each role has a number of key attributes and providing those attributes are a high enough number, you will have yourself a really talented player. I'm playing in Scotland as rangers and have now had 2 season updates where I only get 1 promoted youth player, and they are always a goalkeeper. I decided to go back and keep going to the next season repeatedly and every single time I only had one goalkeeper promoted, must have done it about 8 times. I've got excellent youth facilities. Anyone else had this?